Non-governmental organisations (NGOs) play an increasing political role on the international scene, and their position in relation to international law is generally regarded as important but informal. Their actual legal status has not been the subject of much investigation. 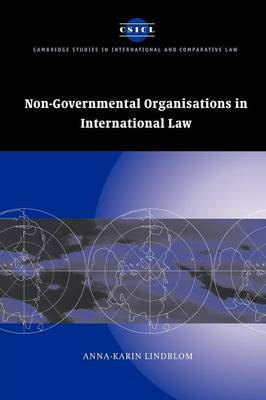 This 2006 book examines the legal status of NGOs in different fields of international law, with emphasis on human rights law. By means of a thorough examination and systematisation of international legal rules and practices, the rights, obligations, locus standi and consultative status of NGOs are explored. This study is placed within a wider discussion on the representation of groups in the international legal system. Lindblom argues, on the basis of a discourse model of international decision-making, that non-governmental organisation is an important form of public participation that can strengthen the flawed legitimacy of the state-centric system of international law.